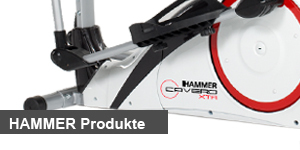 HAMMER SPORT AG has been manufacturing and distributing sporting goods for over 100 years. 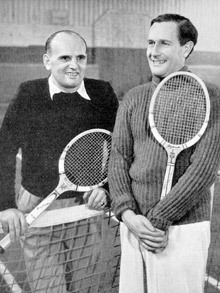 It all started with the production of wooden tennis rackets and skis. 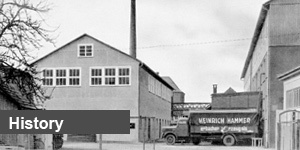 The history of Heinrich Hammer's company starts with a relocation from Bad Mergentheim, where the spirit of invention was thriving. 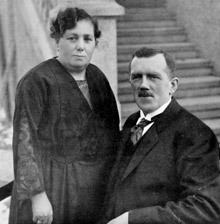 As he arrives in Erbach, his marriage to the daughter of a sawmill owner is also the starting shot for his own company. It doesn't stop with the sawmill. The following article in the "Erbacher Zeitung" newspaper appearing on December 10 documents a "pioneering" innovation by Heinrich Hammer: A new era begins: The waterwheel has finally run its course and a Lanz steam engine with a generator now supplies the community of Erbach with electrical power thanks to Heinrich Hammer. The company starts production of hay carts and toboggans as well as tennis rackets and skis carved from solid wood and shaped under steam. 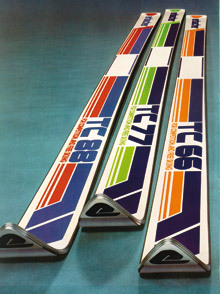 The invention-happy factory owner manufactures glue laminated skis and tennis rackets for the first time. World War II suspends technological advancement. 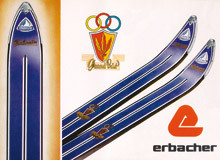 After World War II, the Erbach-based manufacturer becomes the leading German ski producer under the "erbacher" brand through its important innovations. Advanced technology is followed by significant marketing success with skiing and tennis goods: Hanne Nüsslein, world champion tennis pro and Gottfried von Cramm play erbacher Hammer products, the legendary rackets "Spezial-Modell" and "Diplomat". Heidi Biebl wins the gold medal for downhill at Squaw Valley (USA) using "erbacher Grand Prix". Numerous top racers like Vogler and Heckelmiller ski to victory with erbacher skis. 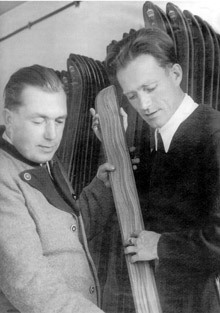 The company builds the world's first synthetic ski and was the second company in the world – after Howard Head - to develop and manufacture metal skis. The short ski, also an "erbacher" invention, gets its start, this time in collaboration with Martin Puchtler, a ski instructor from Bavaria's Fichtel Mountains. "erbacher Ski tuning" with the world-renowned CAT series quickly becomes a term in modern ski production and sets a milestone in modern ski design. 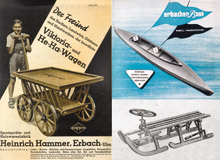 The birth of Hammer Sport, a four-person operation consisting of the founder's grandchild, Günter and his wife Christa Hammer, a sales manager and an office administrator. Headquarters are now in Neu-Ulm. Hammer Sport acquires the German general distribution of the world-renowned MIKASA balls (supplier for the Olympics, World and European Championships). 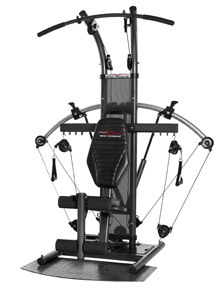 HAMMER SPORT develops a modern and young fitness equipment program. This range of products is backed by a host of innovative ideas that have enabled HAMMER SPORT to step-by-step secure a leading market position in Germany and other European countries. The innovative "early phase" fitness products include the familiar AllTrainer dumbbell, the world's first fillable extruded plastic dumbbell – HAMMER SPORT's entrance into the fitness industry. Cardio training equipment such as ergometers, stationary bikes and steppers systematically complete the product assortment. Targeted marketing with the logo caption "Fitness with style" make the HAMMER SPORT brand a household name in the German fitness industry. 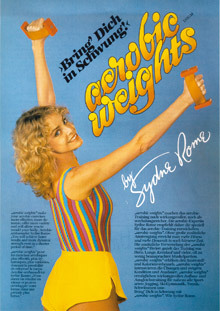 Actress Sydne Rome introduces to Europe the "aerobics" trend initiated by Jane Fonda in the United States. HAMMER SPORT and Sydne Rome jointly develop a special dumbbell for aerobic fitness, "aerobic weights". Additional product developments follow. A patented "on-board computer" for conveniently displaying computer data during rowing movement, multi-gyms employing elastic bands and stationary bikes with integrated sound systems. 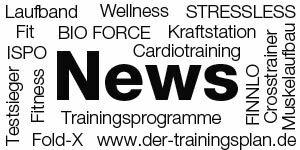 HAMMER SPORT is one of the first fitness brands using the ISPO in Munich (most important and world biggest international trade fair for sporting goods) for exhibition the fitness products and acquisition of new international customers. Since then, HAMMER SPORT yearly takes part in the performance division with a big, representative booth. The HAMMER brand replaces the HAMMER SPORT brand and the logo is updated. Market launch of the equipment series "Club Line - Power meets intelligence" with a modern silver/black look and the first class-A ergometer below 1000 DM available in a German sporting goods store. Working with ELAN, HAMMER SPORT develops the "Woodpecker" series of wooden fitness equipment. 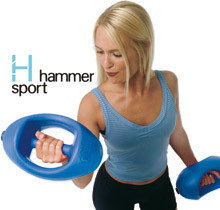 The HAMMER logo contains the caption "Innovative Fitness Design" to reflect the company's innovative strength. 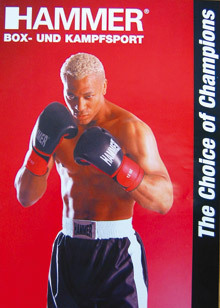 The sales program is expanded with the addition of HAMMER boxing and martial arts accessories. Since the beginning, the full range of products includes 200 different items for entry level and professional users. HAMMER develops the first elliptical trainer, simply naming it "Elliptical". From that point, the elliptical begins its victory march through Germany's living rooms. To meet the growth and increased market importance, the company goes public. Market launch of a new innovative strength-training equipment series with products such as the "Corner Gym" - a gym concept that saves space by 60% - as well as the "Explorer" ergometer with integrated scale. Latest technology from mountain bike production - a torsionally stiff steel frame made of high quality oval tubing with optimal geometry sets HAMMER further apart in the cardio equipment market. Market launch of TPA fitness equipment. An individual training plan (TPA = Training Plan Assisted) is now created for each piece of HAMMER fitness equipment. In the wake of the dynamic growth of HAMMER SPORT AG, construction is started on a warehouse and office building on Von-Liebig Street in Neu-Ulm, Germany. Nearly 600 different articles from five sporting goods categories are stored here to optimally supply dealers in 35 countries worldwide. 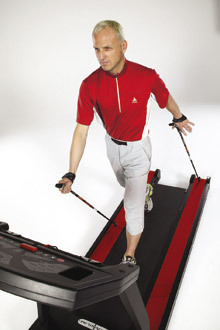 At the ISPO SUMMER 2004 sports tradeshow, HAMMER SPORT AG receives the innovation prize for the patented Nordic Walking treadmill - Nordic walking in tight indoor spaces. The premium brand FINNLO is launched. FINNLO product lines are distinguished by their especially high standard of quality and exceptional design coupled with a load of functions. 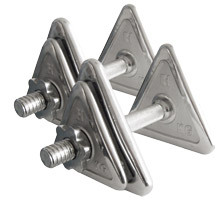 HAMMER SPORT AG patents the "Tri-Tech Dumbbell" – the dumbbell that does not roll away! The first multi-gym without weights! 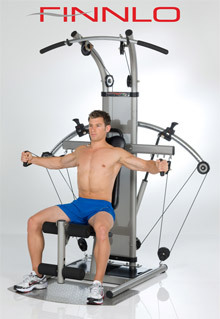 The "FINNLO Bio Force" multi-gym inspires both German and international fitness experts. 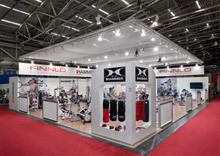 The market launch of the multi-gym with its unique TNT resistance technology instead of conventional weight stacks is accompanied by considerable media coverage in leading consumer magazines such as Bunte, Gala, Men's Health, Fit For Fun, GQ, etc., establishing new milestones in FINNLO's success story. The company markets the ultimate training device for women: HAMMER Leg Toner Vario Pro – for abs, legs and glutes. 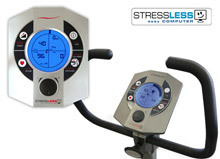 HAMMER SPORT develops the "Stressless Computer" for elliptical trainers, stationary bikes and recumbent bikes, which is easy to use. 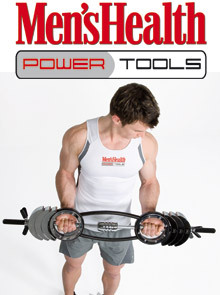 Teaming up with the lifestyle magazine, Men's Health, HAMMER SPORT develops Men's Health POWERTOOLS – a line of equipment offering top-quality technology, feel and function. The wellness brand FinnSpa is launched. "Experience well-being" – the caption of the FinnSpa brand describes and represents an exclusive and intelligent range of wellness and well being products. Infrared saunas and relaxing massaging chairs provide perfect recovery after athletic and fitness activities. HAMMER BOXING is relaunched at ISPO 2010 sporting a completely re-envisioned product range. Refinement of the successful Bio Force multi-gym and unveiling at ISPO 2011. HAMMER HYBRID brand is launched. Combining high-quality components and perfected Panasonic and Bosch electric motors, HAMMER pedelecs ensure maximum riding fun. With their economic energy consumption, electric bikes mean more mobility for young and old alike.